It would seem that almost every photographer has made their way here at one time or another and taken countless numbers of photographs. And maybe that's why some photographers pass this stunning island up. 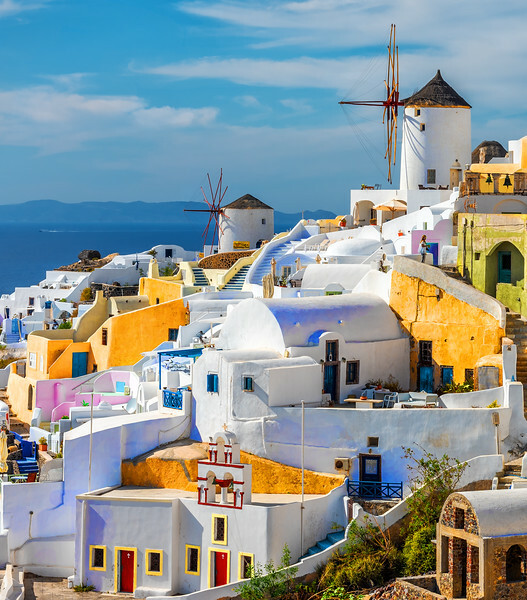 Santorini is just a tapestry of colors and textures. It's mesmerizing and unique and begs to be photographed. It's a postcard waiting to be taken. And for those that make the journey, they will quickly realize that all those online images pale in comparison to the true beauty of this tiny Greek Island. Oh ... and don't forget to grab a beer and watch the sunset over the Aegean Sea.